The Methow Valley is a remote area in Eastern Washington State. It’s a destination recreation area year-round, and even more so in the winter when the North Cascades Highway is closed making a circular drive impossible. 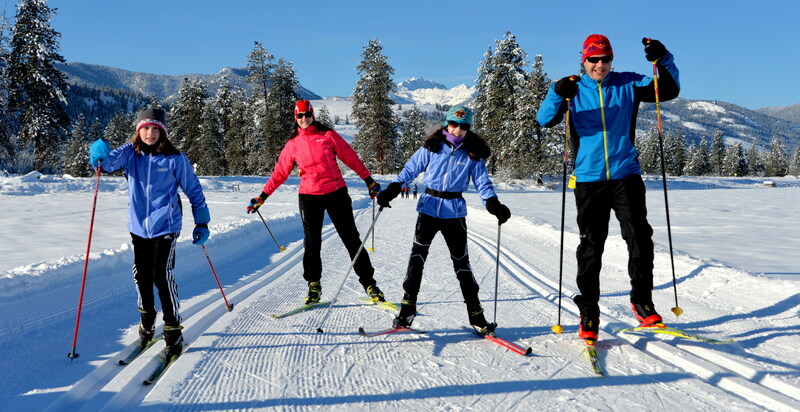 I’ve enjoyed skiing the trails in the Methow Valley on a number of occasions, and on a recent visit I was struck by how much the Methow Trails organization has done to encourage usage among visitors and residents, particularly through pricing and moving with the times. The organization and local businesses understand the economic impact of maintaining a well-developed groomed trail system. The tagline “North America’s largest cross-country ski trail system” is a good fit considering there are 200 km of groomed trails. The Methow Valley Trails Organization’s pricing offers a number of insights for pricing both services and products. Discounted pricing for multiple days increases commitment, encourages longer stays, and brings more revenue to local businesses. A day pass costs $24 and a three day pass costs $60. That’s a 17% discount, with additional days at $20 enjoying the same discount. This approach of discounting for multi-day passes is fairly common at destination ski resorts. It doesn’t conform to the suggestions in my post about temporary discounts (buyers misunderstand discounts) but the motivation is different in this case. The Methow Trails organization wants to encourage people to stay longer in the area. Beyond the financial incentive, a three day pass is more convenient. You only have to visit a retailer once to pick up your pass. Differentiated pricing by age. 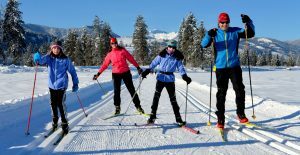 Most Nordic ski centers offer discounts for children or seniors. Methow Trails is unusual in allowing those 17 or under to ski free. Other places tend to limit free skiing to young children (e.g. 5 or under); this of course goes some way to overcome concerns about a small child who gets fed up with skiing during the day. Those over 75 ski free in the Methow Valley, however there is no discount at the usual ages of 62 or 65. I believe the reasoning for the higher age limit may relate to my experience skiing in Germany years ago. I thought I was doing pretty well until several fit skiers in their 70s passed me with ease. I don’t get to ski free yet, but I hope that keeping active in general and continuing to cross-country ski in particular will enhance my later years. Season passes provide cash flow stability and other benefits. Ski centers usually offer season passes. A number of factors are involved in setting the price for a season pass, including providing a discount in exchange for the cash stability resulting from selling ahead. Convenience is relevant too, as a season pass eliminates the time to pick up a pass for each trip. At $325 for the season, buying a season pass comes out ahead of multi-day passes after 5 three-day trips (or fewer if each trip is longer – likely to be the case for many Methow Valley visitors). There’s a little bit of risk involved for both buyer and seller. The uncertainties of the snow pack (with increasingly more impact from climate change) affect both the cost of grooming and decisions by visitors. From my visits to the Methow Valley, variability in the snow pack is a big factor in numbers on the trails. However, the increase from 6,300 visitor ski days for the 1983-1984 season to 40,000 for 2003-2004 is more likely to be driven by promotion than weather. Considering how your products and services can thrive amidst great variability of external factors is relevant to many companies as they set prices. Freemium pricing. Even if you’re not interested in cross-country skiing or other winter sports, pay particular attention to this facet of the Methow Valley ski pass pricing. The Big Valley trails (7.7 km total) and a short trail not far from the hotels and restaurants in Winthrop are completely free. The signs at trailheads identify the cost, presumably allocated from overall funds including individual passes, business membership (i.e. support in exchange for promotion), and contributions from various public and non-profit sources. 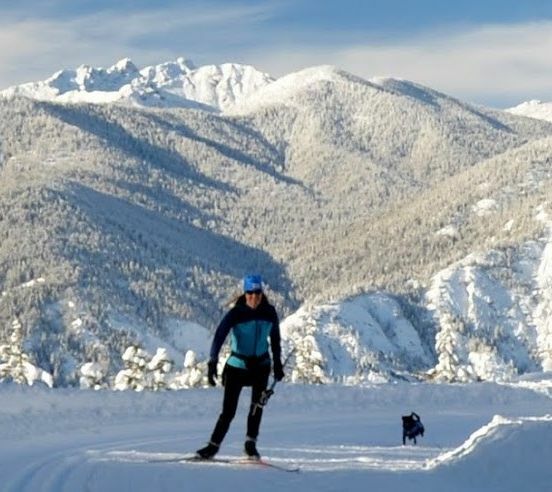 Free trails encourage people to try cross country skiing, and may increase the number of people coming to the Methow Valley (“come with us – there is plenty to do, and you don’t have to buy a pass to try“). Of course, a newbie is likely to need to rent equipment, nevertheless their cost for the day will be about half what it would be if they choose to ski on trails requiring a pass. Some people may stay an extra day (more money for local businesses). The free trails are isolated from paid trails, so there is no risk of entering at a free trailhead and cheating. What can your business learn from the way Methow Trails uses Freemium pricing? Understand the value customers derive from your products and services and set thresholds accordingly. For cross-country skiers, the value is in the experience from both the skiing and the location. You can only do a fraction of everything possible in the Methow Valley without paying. Some skiers may be satisfied with just the free trails, but most of the people making the trip won’t fall into this category. Still, if not enough people pay for the premium version of your product you might be in trouble (especially if you don’t properly understand cost). Methow Valley Trails knows their users through conducting surveys. Free for the consumer doesn’t mean free for the supplier. That’s obvious for the Methow Valley where grooming and keeping snow parks clear use human and physical resources. Sometimes companies fool themselves by not accounting properly for the costs of providing a free version (perhaps thinking that they are providing the paid version anyway so it’s not worth worrying about the cost of the free version). For example, your cloud service might charge based on bandwidth; it might be expensive to support users of the free version. Know your goals. Does the free version of your product lower the perceived value of the paid version? As our post on Van Westendorp pricing analysis shows, people understand the value of paying. Don’t be fooled into thinking that more users necessarily means increased success. If your profitability go down your organization might not be able to fulfill its mission – even if profit isn’t the main object as in the case of the Methow Valley Sports Trail Association which wants to connect people to the world-class trails (which means balance). Would you be better off making your app free (to market your products and services) rather than trying to trying to make money from a premium version? The free app for the MVSTA may not be as good as a physical map in many ways, but the trail grooming report and directions can be very helpful. Snowshoe passes. The Methow Valley trail network includes many snowshoe trails. I’m not much of a snowshoer (there are usually more than enough cross country skiing opportunities for me), so my observations may not be totally accurate. Snowshoe trails require less grooming than cross country ski trails (I’d characterize it more as trail maintenance than grooming – particularly for trails used solely for snowshoeing), so $5 for a day pass seems like a fair price to me. There aren’t all that many opportunities to ski on groomed trails with your canine companion in Washington State so it’s great that the Methow Valley has included dogs in their trail system. Some of the trails that allow dogs are in the more remote areas or combined ski/snowshoe/dog trails that might not be groomed as often, but a couple of trails in the free areas allow dogs too. Daily passes for dogs are $10. Fat-tire biking. Fat-tire biking was introduced to the Methow Valley a few years ago, with trails and rental bikes so you can float on the snow instead of sinking as you would with a standard mountain bike. The mountain bikers in the party can appreciate a new experience if they haven’t tried fat-tire biking before, and it may appeal to others who perhaps aren’t enjoying cross-country skiing as much. Daily passes for Fat Tire bikes are $10. Keeping up with the times. Both fat-tire biking and permitting dogs to accompany their people are examples of moving with the times. Most recently, adaptive skis have been made available for those with limited mobility. It used to be possible to buy season passes only at retail outlets, but now they are available online. 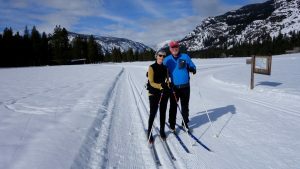 Even though cross-country skiing has been around for thousands of years, the Methow Valley trails are continuing to expand their services to fulfill their mission. Season pass variants. In addition to the regular season passes noted above, Methow Valley offers a weekday only season pass for $199, presumably targeted at residents. Season passes for dogs are $50, the same price as for snowshoes and fat-tire bikes. I hope the examples and explanations in this post will give you some ideas about pricing for your own products and services. While I don’t advocate being too much in business mode when you are supposed to be relaxing, don’t forget that there are numerous opportunities to gain insights about business challenges from other situations. A different perspective can be extremely helpful. How do you think users of the Methow Valley cross-country ski trails system view pricing? What analogies work for your company? P.S. I haven’t noticed many locals turning up their noses at mispronunciation, but they appreciate it if you pronounce the name of their home as the “Met” “How” Valley. 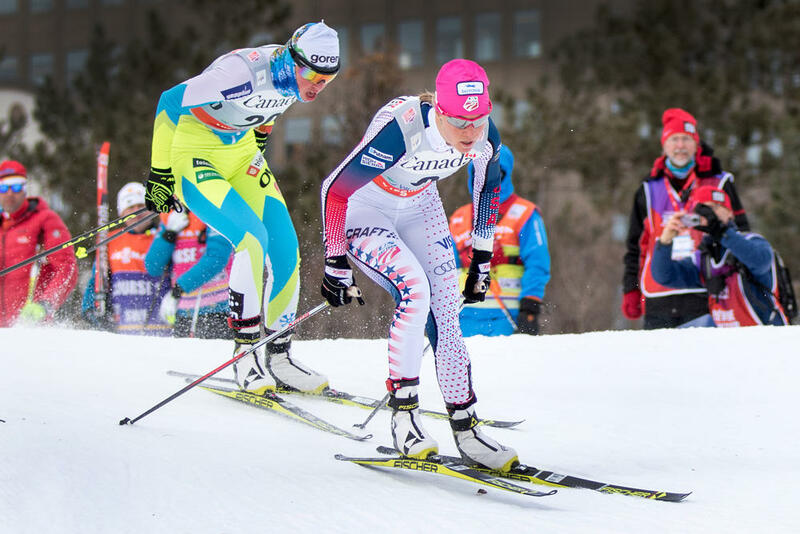 Image of Sadie Bjornsen from NW News Network. Other images from Methow Trails.